Shading your eyeliner simply means using different strokes, colours and thicknesses to accentuate your eyes in the most flattering way possible. If you’re a lover of using beige eyeliner pencils, shadows with a pearlescent effect or other colours in your eye makeup, permanent shaded eyeliner can help create the unique, tailored look you seek, without the hassle of everyday application. Eyeliner styles can be infinitely tailored to suit your preferences and the shape of your eyes and face. You can choose one colour, multiple colours, natural colours and bold colours… the choice is endless! 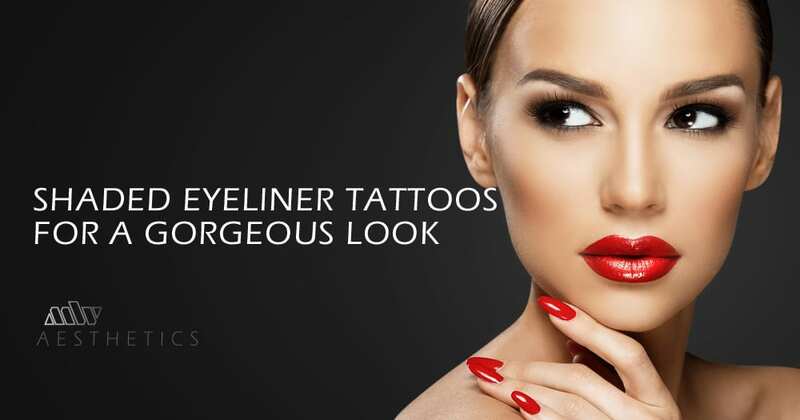 Add to that the huge variety of thicknesses, shapes and lengths of eyeliner available, and you really can match your personal style in a perfect way. Eyeliner can be applied in thicknesses ranging from very thin (around 1mm thick) to very think (as much as 5mm) depending on your personal preference. 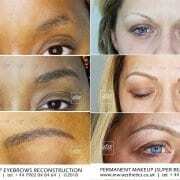 The right thickness for you will depend on your eye shape and also where you intend to place the tattoo. What is considered a thin line on the top eyelid may look very thick on the bottom, for example. On the top eyelid, eyeliner usually starts at the first eyelash, not in the wet area around your tear duct. It will usually extend to the last lash, but you can opt to extend it slightly to make the eye appear larger. Long tails tend to make the eye look smaller, but can add a touch of drama, particularly to Asian eye shapes. There is a good deal more choice available for the bottom eyelid. This eyeliner will usually stop just short of the outer corner of the eye, and will not fully connect with the liner on the top lid. 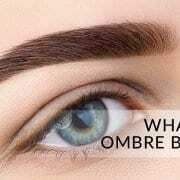 However, it does not need to run all the way along the bottom lash line, and if you prefer a more natural look you could opt for a three quarter or half line length instead. 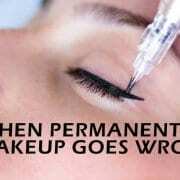 There are some subtle differences between permanent eyeliner tattoos and the eyeliner you apply by yourself. The pigmentation can be placed in between individual eye lashes to give a tighter, more dramatic look, something which is very difficult to do with an eyeliner pencil or liquid. On the bottom eyelid, this ‘tightlining’ technique can make your eyes look brighter and clearer, whereas on the top lid it will accentuate your eyelashes and give a sultry, smoky effect. Alternatively, you can opt for a looser line, which will serve to open up your eyes and make them appear more rounded. The biggest decision to make with shaded eyeliner is what shape you are looking to achieve. You have options of thick to thin lines, pigmentation of a variety of colours, flaring, graduations and tails. 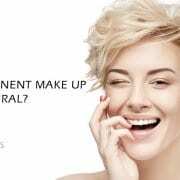 It’s something to give some thought to before you arrive at the salon, but also something your permanent make up practitioner will be able to give some guidance on too. If you’re thinking about going ahead with permanent eyeliner, it’s a good idea to do your research first. Think about your own eye colour, shape and your personal style, so that you have at least a skeleton of an idea when you arrive at the salon. Monolid eyes: If you can’t see the crease in your top lid, don’t try to fake it with eyeliner. Instead use a simple line to enhance the coolness of the shape, and consider a bold flare to accentuate your natural angles. A graduated smudge in the outer corners can add drama to your look. 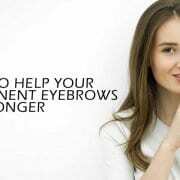 Hooded eyes: Deep creases can make eyes look heavy, but you can use this to your advantage by opting for a daytime appropriate smoky eye look. Ask us about stacking colours to create a natural, smoked up appearance. Almond eyes: The classic, beautiful eye shape, this shape eye can get away with almost anything. Lining all the way around can highlight the beautiful shape, and using metallic tones will add a touch of glamour. Close set eyes: If your eyes are close together, you can create the illusion that they are further apart by using a bold wing on the outer corner. Creating a V shape in the outer third of both eyelids will give the impression your eyes extend across your face further than they do. Small eyes: If your eyes are small in comparison to your nose and mouth, it’s a good idea to avoid using eyeliner on the bottom water line. Instead, a thin line on the top lash line and a small accent in the corner of the bottom lash line will subtly frame your eyes. As well as thinking about the shape of your eyes, shaded eyeliner tattoos mean you can play around with colour too. Brown eyes look great when accentuated with terracotta colours and metallic tones, whereas green eyes respond well to plum and purple tones. Hazel eyes sit mid-way between these two colours, meaning you can draw on both palettes for your perfect shade (lucky you!). For those with blue eyes, anything that incorporates a grey tone will intensify your eye colour. Find out more about semi-permanent eyeliner and our shaded eyeliner treatments today. Get in touch for a free, no obligation talk through your options, or pop in to see us in our studio.